Beatrice Benson says she is a witness of the Lord Jesus Christ. Out of her love for God and her love of the gospel of Jesus Christ, she has decided to spend her time bringing forth awareness about our benefits in accepting Christ as our Lord and Savior. 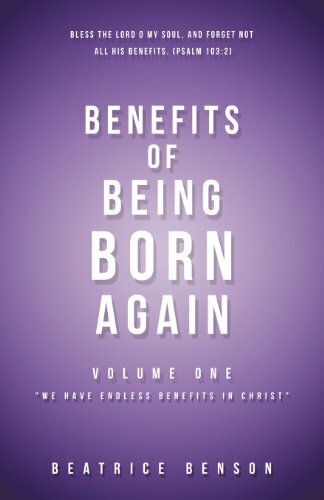 In this book, she writes about the life of the New Creation and the benefits of being Born Again. She wants everyone to come into their inheritance in Christ by knowing their rights and benefits of what they have in Christ. Giving her life to Christ has brought Beatrice into a new level of glory, and she prays you will experience the same as you read this book.